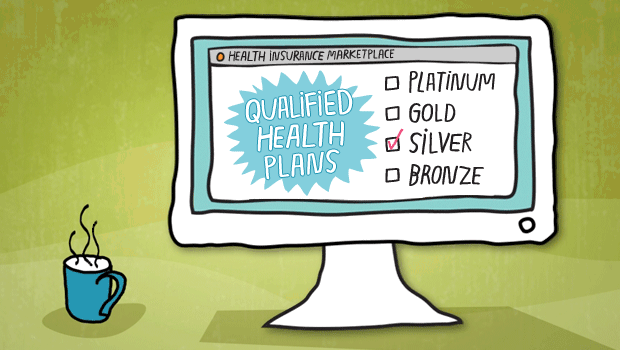 Six months ago, open enrollment began under the Affordable Care Act (ACA) Marketplaces. It is arguably the single biggest moment in U.S. health policy since the enactment of Medicare and Medicaid in 1965. Has it been perfect? No, of course not, and even the President admitted to early missteps in implementation. As expected with any new program, particularly one as sweeping as the ACA, there were and will be challenges. What is more important is that a majority of the early issues were successfully overcome, and more than 7.5 million Americans have obtained health insurance through the ACA. Americans can now obtain affordable coverage with guaranteed issuance and are no longer job-locked or cast to the winds of the individual market to buy health coverage. During the legislative debate on the ACA, there was a concept of a nationwide public option competing with commercial for-profit plans. The public option was rooted in promoting drivers other than profit while competing with commercial plans in the market on cost and quality. Although the public option was not incorporated into the final version of the law, its spirit is alive and well under the ACA in two forms. The first form — state and federally-run Marketplaces — provides consumer choice. People are free to shop different health plans, compare prices and networks and make the best choice for themselves and for their families. As a longstanding leader and advocate for health care reform, California was one of the first in the nation to establish a health insurance Marketplace, called Covered California, which has exceeded enrollment expectations during the first open enrollment period. Many of the people who have enrolled are purchasing health insurance for the first time, which is exciting and daunting. And, in California, tens of thousands are choosing local public options including the nation’s largest publicly operated health plan, L.A. Care Health Plan. How has L.A. Care been successful? L.A. Care is governed by a stakeholder board, including consumer members, community clinics, physicians, federally qualified health centers, children’s health care providers, local hospitals and the local Department of Health Services. In addition to engaging multiple stakeholders to ensure broad representation, L.A. Care is also highly committed to the promotion of accessible, affordable and high quality health care. L.A. Care’s unique structure and community focus has positioned the health plan to enter Covered California and provide coverage for new membership groups. Participating in Covered California allows L.A. Care to be available to people who may move between Medicaid and subsidized coverage and/or their family members and relatives who are also seeking coverage. It has also allowed the organization to incorporate a new cast of health care providers into its Medicaid network. Neither of these developments would have happened without a strong track record or the ACA. The second, and lesser known, public option look-a-like is the Consumer Operated and Oriented Plans (CO-OPs). CO-OPs were created to stimulate competition and lower prices. In their model, hospitals, physicians and health insurance plans work closely together to integrate care. CO-OPs have been successful, but are not well known because, while $2 billion in funding under the ACA was earmarked for 23 states, funds may not be used for advertising purposes. Health care is local. The demands on a health care delivery system are determined by the needs of the population it serves. A highly diverse community with average family incomes near the federal poverty level has different needs than does a homogenous community with higher incomes. Given that both of these public options are consumer-focused and locally governed, they are driven by the needs and interests of the communities they serve. They also provide the flexibility that state and local governments need to develop innovative health coverage programs based upon local need. If the industry as a whole adopted this concept, this system of change could become reality. As we all know, we benefit when more people are covered. Health care reform brings hope and health to many of our family members, friends, neighbors, teachers and loved ones who desperately need and deserve high quality, affordable health care. Health care was already complex, confusing and colossal before reform, and any real change will take time to sort out. But, it will be sorted out. Years from now, we will be talking about how best, and not whether, to care for the uninsured. What we must remember is that this is the right thing to do – and it’s successful. For a look at the ACA by national and California numbers, download this one-page infographic. Howard A. Kahn is the Chief Executive Officer of L.A. Care Health Plan, the nation’s largest publicly operated health plan. For more information, visit www.lacare.org and follow the plan on Twitter, Facebook and LinkedIn. The EU‘s Foreign Policy: What Kind of Power and Diplomatic Action?